Madison Shakespeare Company proudly presents a staged reading of Dido, Queen of Carthage by Christopher Marlowe. 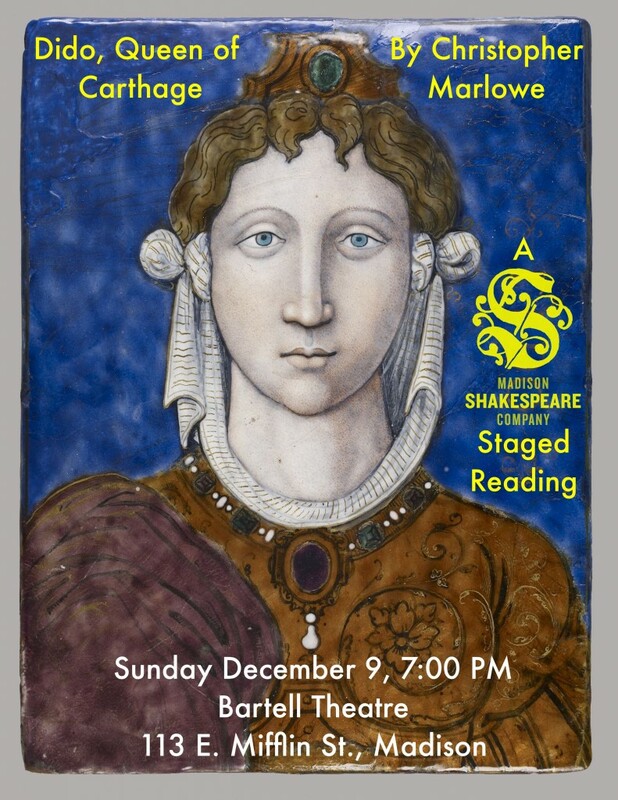 December 9, 7:00 PM at the Bartell Theatre. Presented with generous cooperation from Kathie Rasmussen Women’s Theatre and the production of After the Revolution.